Safety is our no. 1 priority. Whether it is a climbing expedition, a leisurely trek or an overland tour, safety is never compromised. 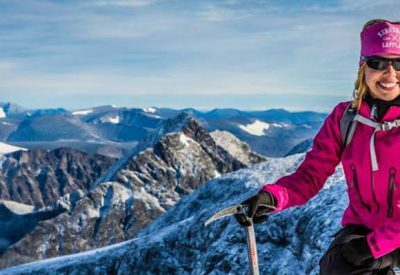 Our leaders are trained by expert mountain medics and high altitude research doctors, providing them valuable knowledge on medicine and mountain survival strategy. 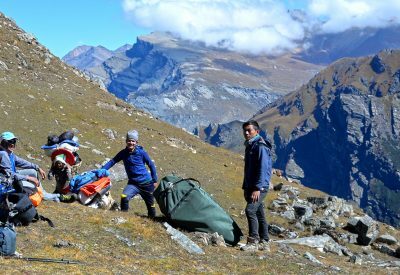 We provide a comprehensive medical kit on all our trips and also provide a sat phone with our groups, trekking in the remote areas where there is no access to other communication systems. In unfortunate incident of an accident or any life threatening emergencies which requires evacuation, it will be carried out by a helicopter. Please read more about our safety policy. We aim to provide a comfortable and trouble free holiday without being over luxurious and expensive. All our packages are more or less “all inclusive”, so that you don’t need to worry about your accommodation, local flights, transport on tour, permits etc. We provide top quality sleeping bags, down jackets and duffle bags to all our clients on all our trips, so you don’t need to bring your own. While in the cities, we use only renowned and top end hotels and while on trek we use reasonably clean and comfortable lodges with a welcoming environment. All internal transportation are on private vehicle in good condition. The long experience of guiding has helped us notice the best guys in the business. 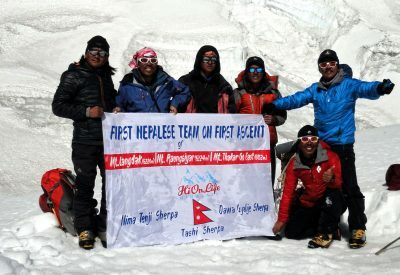 We have carefully handpicked our team of guides, sherpas and porters who are passionate, hard working and have the right attitude with exceptional quality of leadership irrespective of what they do. 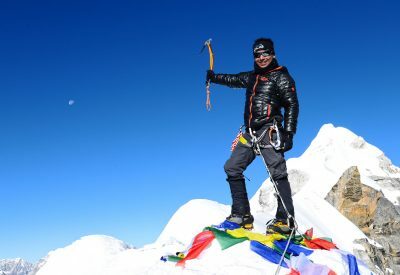 Our guides are well educated and have undergone extensive medical training under mountain medics, emphasising on high altitude medical treatment and rescues. Over the years we have built a strong friendship with our staff, and the contribution of each one of them makes us a Hi On Life team. We operate only small groups, thus providing more personalised service. This also provides an opportunity to know the local people and their culture. This also minimises environmental impact which is in league with our belief – take the experience with you, but leave only foot prints behind. We receive 90% of our business from our client’s referrals and repeat business. We think that says a lot about us and our clients. 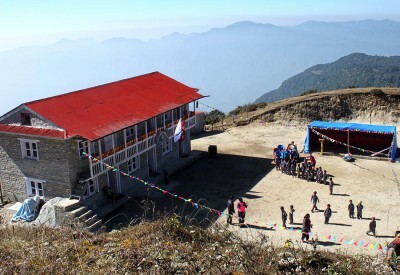 We are a government recognised company with membership and affiliations with the organisations responsible for tourism in Nepal, like NTB (Nepal Tourism Board), TAAN (Trekking Agents Association of Nepal ), NMA ( Nepal Mountaineering association), and also licensed under the Ministry of Tourism, Culture and Civil Aviation.